There are marked differences by region with the suggestion of a North/South divide. The median is lowest in Scotland at 5.7% The South-East and South-West are the highest, both standing at 11% median hourly gaps. London’s gap is 10.4%. The highest median gender pay gap exists in Construction (24.35%) followed by Finance (23.9%). Some industries, such as hospitality, have very low gender pay gaps (a median of 0.6%) - this may be because of the high proportion of both men and women on the minimum wage. There has been a slight increase in the average proportion of women in each wage quartile, with particular movement in the upper middle and upper pay quartiles which typically have a greater proportion of men. The Government’s Gender Pay Gap viewing service shows that a URL to information on the gender pay gap is available for two-thirds (66%) of organisations – although the presence of a URL does not mean that an organisation has necessarily created a narrative on their figures. 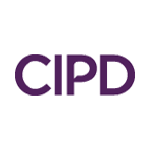 The CIPD is urging organisations to be more transparent about their data, why the numbers are what they are and what they are doing to reduce their gender pay gap moving forward. “It’s disappointing that many employers are still not providing a narrative or action plan. Organisations that simply provide their numbers are failing to meet the increasing appetite and expectation for transparency amongst all stakeholders, including employees, investors, and regulators. Financial figures would never be given without any explanation for them, and gender pay gap reporting should be no different. “As we head into the third year of gender pay gap reporting we need to see more of how organisations are responding and the actions they are taking."